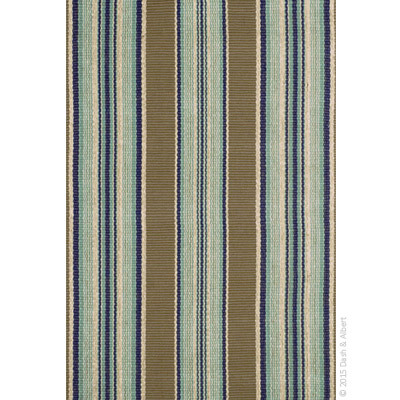 Dash & Albert's Blue Heron Stripe rug is hand-loomed in a flat weave. This all-cotton collection is also reversible and adaptable. Defined by varying shades of brown and blue, this versatile rug will stand the test of time.